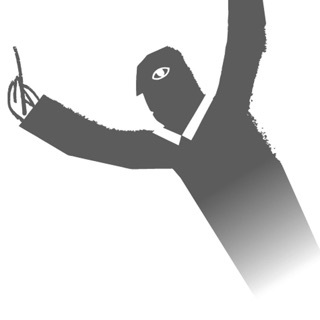 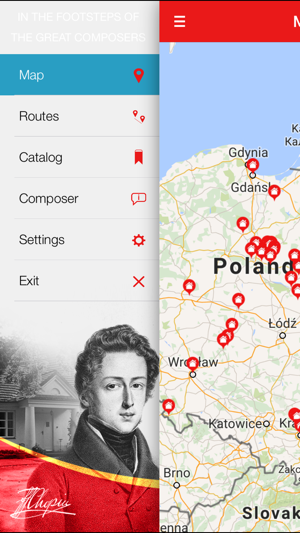 Follow in the footsteps of the great composers. 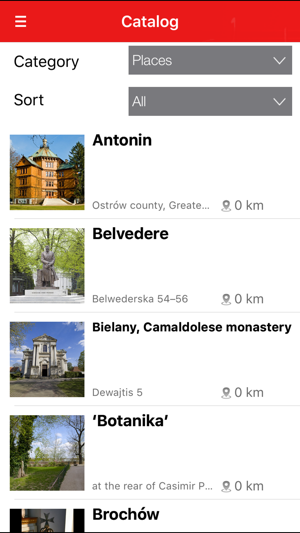 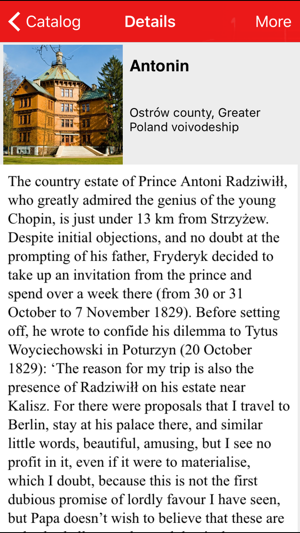 Five guides containing biographical entries of 350 people and descriptions of 370 places associated with Chopin, Tellefsen, Grieg, Nordheim and Lutosławski on a single application. 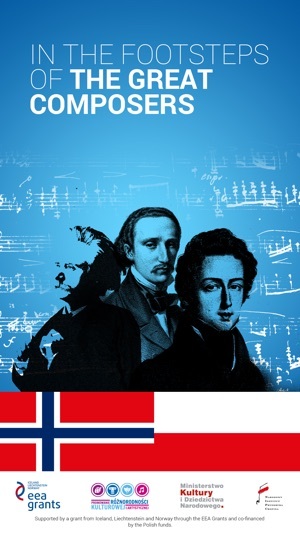 An excellent compendium of knowledge about the people and places that shaped and influenced the creative personalities of these great composers. 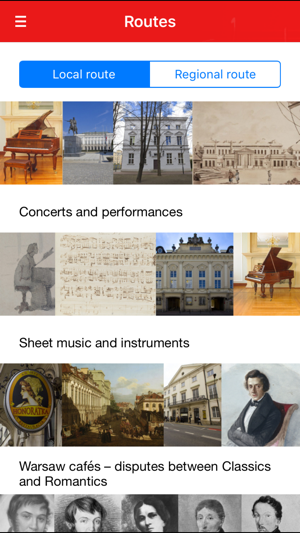 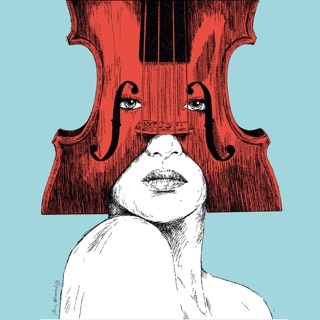 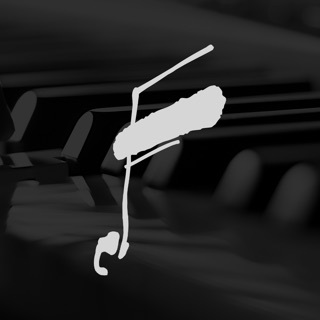 This application will help you discover the links between Polish and Norwegian musical culture. 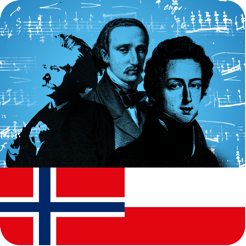 The application was financed by EOG funds from Iceland, Liechtenstein and Norway, and from domestic sources as part of ‘Between national identity and a community of cultures: from Chopin and Tellefsen to the twenty-first century’, a Fryderyk Chopin Institute project.